Today I have another fun activity to learn about the Saints! You may remember our Saint Valentine Coloring Book and Saint Valentine Coloring Page. Today we will be learning about St. Patrick! We have some Saint Patricks Day Coloring Pages. First, before we do our coloring pages, we are going to read a book. 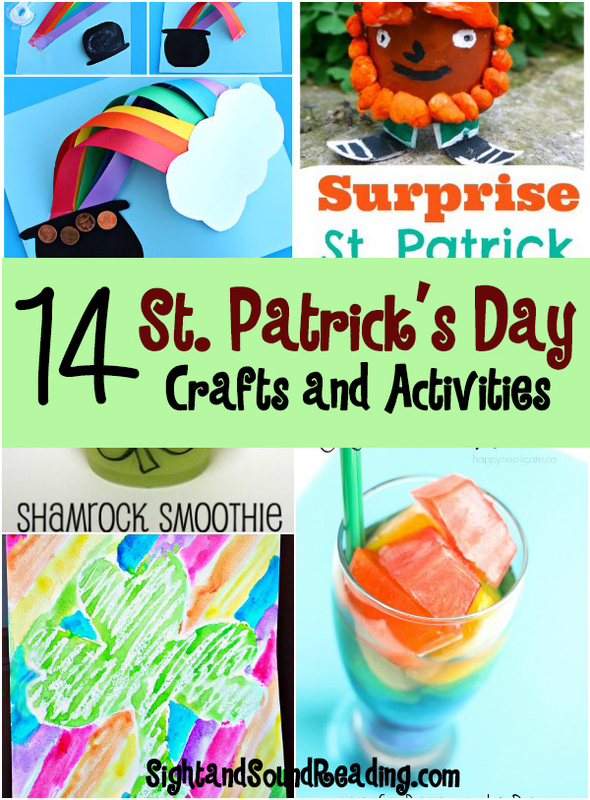 The Story of St. Patrick is a great story to go along with the Saint Patricks Day Coloring Pages. 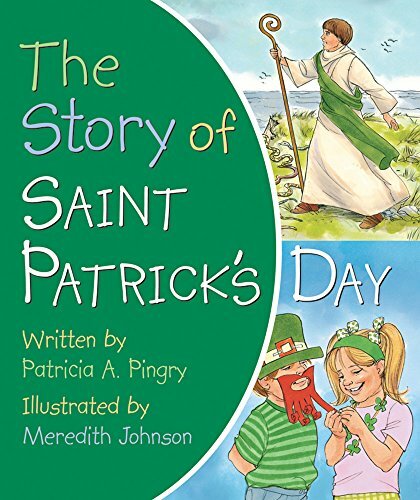 The Story of St. Patrick is a great book to read to little ones. It explains in detail the story of a boy who was captured by pirates and then went on to become a great saint (and hero of Ireland). 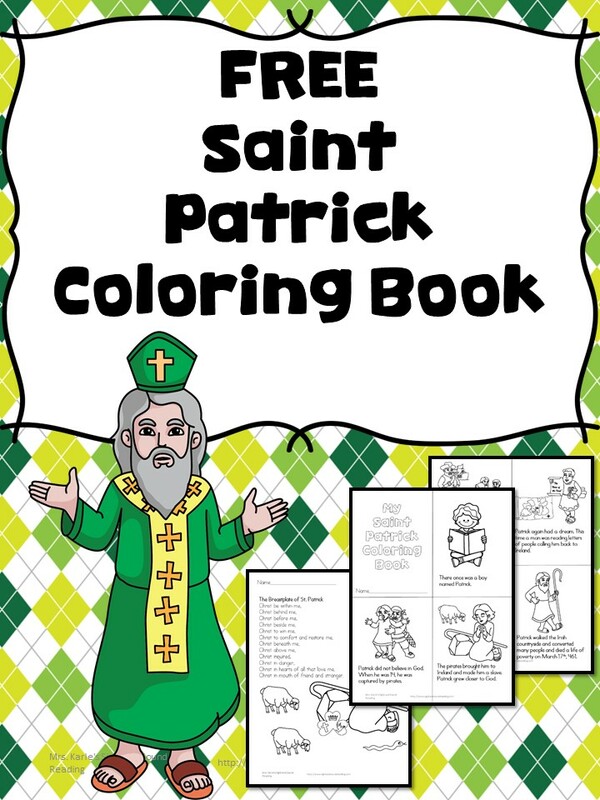 the Saint Patricks Day coloring book that I created also tells the story of Saint Patrick, but in a more condensed and simplified way. The two are great companions for each other! These Saint Patricks Day coloring pages have been added to our freemium membership. 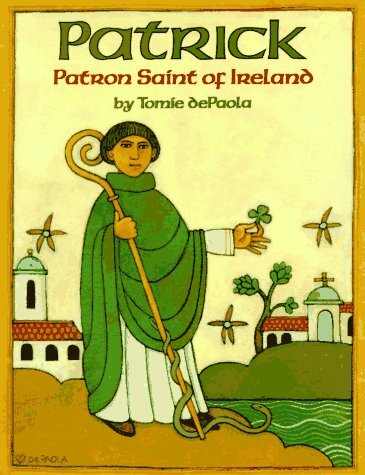 This booklet about Saint Patrick is great! Thank you so much for this. Hope the baby feels better soon..maybe try soothing music? Aww, thanks for your well wishes and ideas. Poor little guy ended up having the flu too, like me… So, they gave him tamiflu at the hospital. We are home now and I think he is slowly getting better. Sorry to hear about the little one not feeling well. Praying he gets better soon! Thank you for the helpful educational material. My 5 year old son is not interested in school. I am enjoying all the help I get from you. You are so welcome! Aww, thanks for your well wishes! My poor little guy ended up having the flu too, like me… So, they gave him tamiflu at the hospital. We are home now and I think he is slowly getting better. Thanks for the prayers that he gets better soon!